This ruling is certainly a victory for Epstein’s victims, however, as the Miami Herald reported late Thursday, the federal judge, Kenneth A. Marra, stopped short of overturning Epstein’s plea deal, or issuing an order resolving the case. Instead of overturning the plea deal, the judge gave federal prosecutors 15 days to seek a settlement between Epstein’s victims and their attorneys. However, the victims were not seeking any type of monetary damages as part of the suit and merely wanted some light shined into the darkness. When the follow up lawsuit was scheduled to begin in December—which implicated a member of the British Royal Family—it was over before it started as the billionaire effectively hushed everyone by throwing an untold sum of money at them. This new ruling, however, paves the way for a new case as it exposes crimes of federal prosecutors. According to the Herald, it’s not clear whether the victims, now in their late 20s and early 30s, can, as part of the settlement, demand that the government prosecute Epstein. But others are calling on the Justice Department to take a new look at the case in the wake of the judge’s ruling. 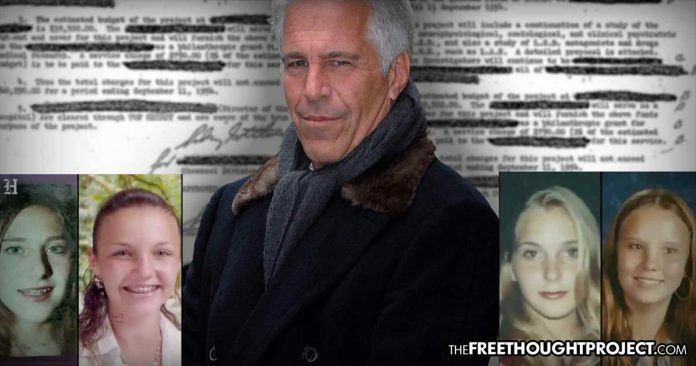 The plea deal given to Epstein was already swarming in controversy before this ruling. During his appointment hearing in 2017, Acosta even defended the way he handled the Epstein case. Let’s see how he defends this deal now, knowing that a federal judge just ruled his prosecutors all broke the law. Perhaps these victims may see justice after all.